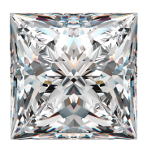 WP Diamonds, the nation’s leading online buyer and partner for retailer buy-back of diamonds , jewelry and watches, is excited to announce the launch of America’s Diamond and Jewelry Ranking. The company’s last 15,000 consumer inquiries and data have informed these findings, covering all 50 states. America’s Diamond and Jewelry Ranking is the first report of its kind that directly analyzes ownership across the United States. Although plenty of reports have been issued by authorities regarding the mine-to-market process, rough diamonds, bridal and retail sales statistics, this is the first report that analyzes data based on what consumers already own. State-by-state, a feel for diamond and jewelry preferences and taste can be deduced, with surprising results. Answering an important question for the diamond-curious and jewelry enthusiasts across America…where does your state rank? being compared for data. The number listed is the average carat size for each top ten state. 1. Maryland at 1.75 ct.
2. Michigan at 1.69 ct.
3. Illinois at 1.59 ct.
4. 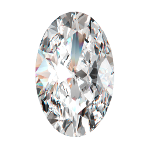 Alaska at 1.49 ct.
5. New York at 1.47 ct.
6. Texas at 1.47 ct.
7. Florida at 1.47 ct.
8. 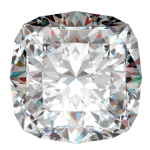 Virginia at 1.44 ct.
9. Arkansas at 1.41 ct.
10. California at 1.40 ct.
Click here to see how each state ranks. Because the data surveyed by WP Diamonds reflects those looking to sell their diamonds and fine jewelry, it is an outstanding indicator of values across states for secondhand jewelry pricing. The ten states listed show which states have the highest average secondhand jewelry values. followed by a list of the top five states where each is most popular. 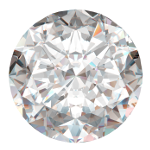 The most popular shape in America, the classic round brilliant maximizes the fire of a diamond. The most popular of the fancy shapes, the princess cut diamond works well within any setting and is a prime choice for engagement rings. Pillowy in shape, the dreamy cushion cut is a great option for maintaining the illusion of a large stone. 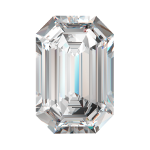 Perfect for showing off a diamond with exceptional color and clarity, the angular, step-cut emerald cut is a hallmark in art deco diamond jewelry. 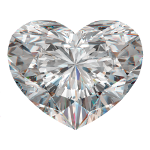 Sentimental and endearing, hearts are a universal symbol of love in jewelry, popularized in pendants. Chic and elongating, the marquise cut is universally flattering, lengthening the fingers. 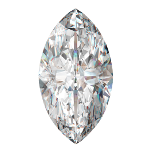 The illusion of a larger size is achieved in an oval cut diamond, which also elongates the hand’s shape. 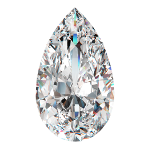 A modification of the round and the marquise, the tapered point of the pear faces the wearer for a style as stunning and unique as its wearer. Combining step-cuts and triangular faceting in one, the radiant cut is particularly successful in showcasing color in fancy colored diamonds. 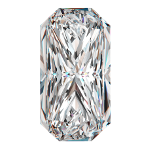 It is worth noting that since WP Diamonds’ first year of business, the oval diamond cut has gained in popularity, from being the 8th most popular shape to now holding the place of being the 6th most popular shape. In addition, heart shapes are now more popular than they were during the company’s first year of business, albeit in small numbers. America’s Diamond and Jewelry Ranking is a direct reflection of today’s taste in fine jewelry. By taking the temperature of style preferences in the U.S., it allows us to see what is happening state-by-state by evaluating spending trends, the quality of diamonds being considered, and cut grade selection. How will diamonds “shape up” comparatively long-term? When looking at America on the whole, round currently rules….but what will the next big thing to change the face of diamond jewelry be? WHICH STATES HAVE THE BIGGEST DIAMONDS? WHICH STATES HAVE THE MOST EXPENSIVE SECONDHAND JEWELRY? WHERE IS EACH DIAMOND SHAPE THE MOST POPULAR?